19th June 2015 - Oh no another puffin!! Filling in some gaps so don't worry about commenting. 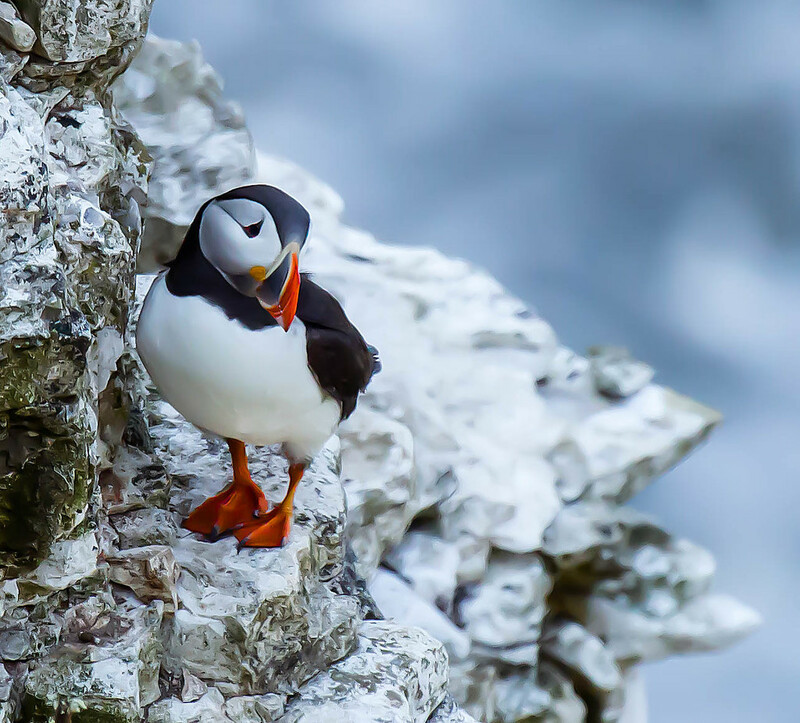 One more of my puffin shots from Bempton Cliffs - what a fab day it was!! Many thanks for your comments and Favs on my shots - I really appreciate your support. I am so sorry I have not been able to comment very much recently. The internet connection was awful while I was away and kept throwing me off - very frustrating. I will try to catch up but this week is going to be very difficult for me with hospital appointments for my sister. They are such weird looking things from some angles. Amazing tones and detail! The Puffin looks 3 dimensional! Fav! Makes you feel as if you could reach out and pick him up this is so clear. Fav, doesn't even look real! But I have to comment, to say what a wonderful puffin capture this is and that it's a fav for me. Hoping for the best for your sister. Wow again. Amazing capture. Fabulous composition, so vivid and so sharp. An instant fav with me.